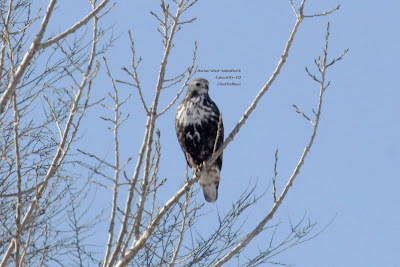 These are photos I got of the juvenile Zone-tailed Hawk that I spotted at a pond day before yesterday. 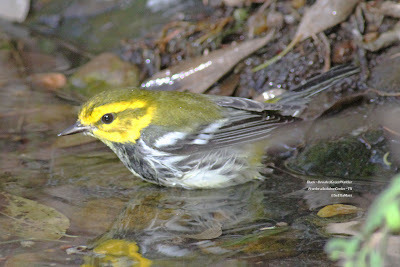 It was there to drink water--it drank about 8-10 times while I watched. Kind of surprising as I have never seen a hawk drinking water. 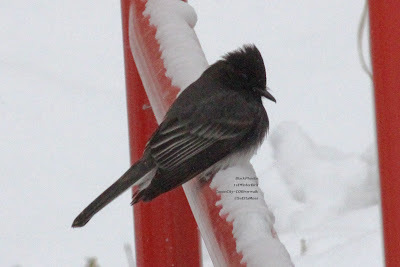 Clearly these photos show the most detail of any I have taken. They show that the hawk's right eye has something wrong with it that causes it to bulge. 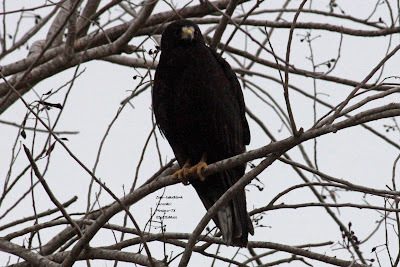 In looking at these photos I have realized that I was mistaken in thinking that there were two Zone-tailed Hawks. 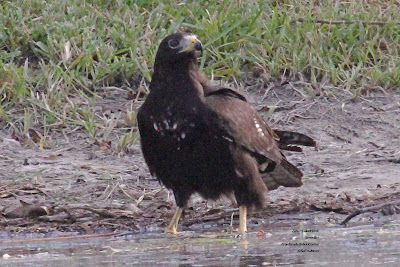 The bulging eye photographed at some angles of view gave the impression that the bird was a different hawk; now I believe there is only one Zone-tailed, a juvenile. The top pic gives a good view of the undertail feathers that in juvenile Zone-tailed Hawks is whitish with narrow black bands. The middle pic is even more interesting as the hawk is stretching it's right wing which allows unusual views of the underside of it's flight feathers that are whitish with black barring. 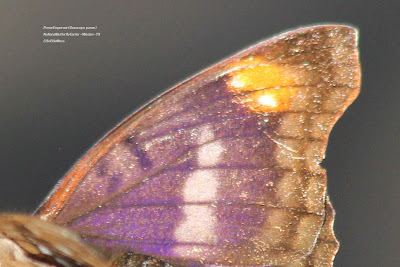 The 'fingers' at the end of it's wing really extend far below it's tail. 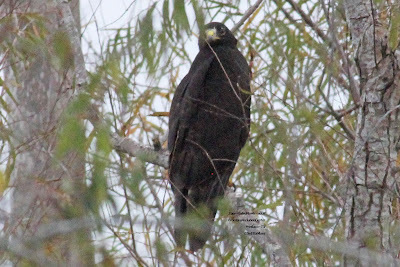 I found this juvenile Zone-tailed Hawk this morning while doing the Weslaco,TX Christmas Bird Count. 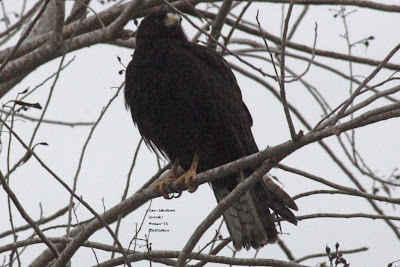 This neotropical hawk is a regular visitor to the Lower Rio Grande Valley of TX. 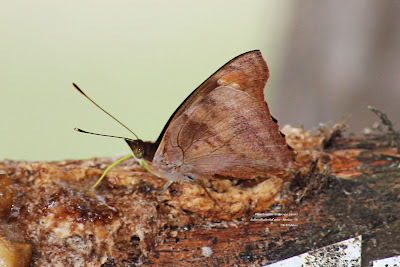 I was very fortunate today to visit the National Butterfly Center in Mission, Tx when a rare tropical butterfly was being seen. 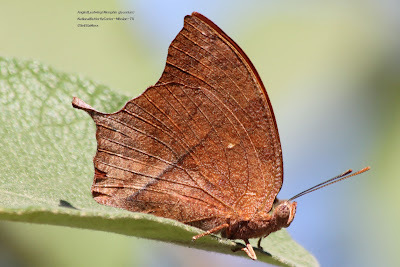 I never heard who found this butterfly (apparently found here before today and refound today) whose range is from Bolivia in South America to northern Mexico according to Butterflies and Moths of North America. I am a rank novice who was the beneficiary of others who alerted me and others to this rare find and showed it to us. 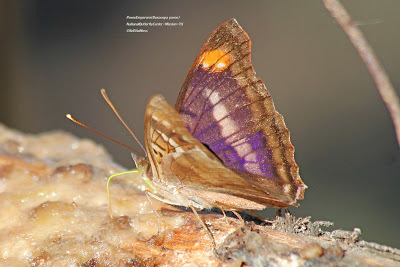 One more neat photo in next post. 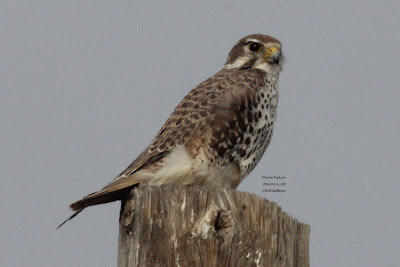 I found very large numbers of Lapland Longspurs totally more than 300 northeast of Lubbock, TX. 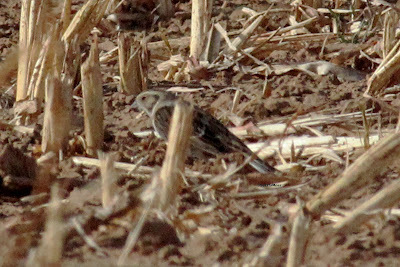 The close-up above is one of at least 200 Lapland Longspurs in several flocks in an agricultural field. 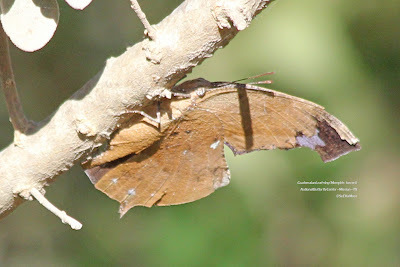 The distinctive dark frame on the auriculars is easily seen in that photo. 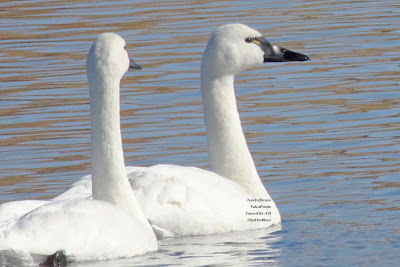 These are photos from yesterday afternoon when the Tundra Swans were disturbed by a greedy photographer--they were not at the pond today and I doubt they will return. The impact that this one person had on these swans is demonstrated by the fact I observed these swans when a train went by, sounding it's horn as it crossed the busy intersection very near the pond--they didn't fly off, they just swam to the side of the pond more distant. I drove down MacKenzie Ave in mid-afternoon as I wanted to check to see if any more swans had been added. I spotted the birds taking off from the water so I quickly turned into the drive across from the ponds to take these photos. 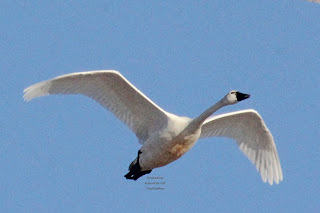 All 10 swans circled as they rose higher and higher, appearing to be gaining altitude to take off from here. 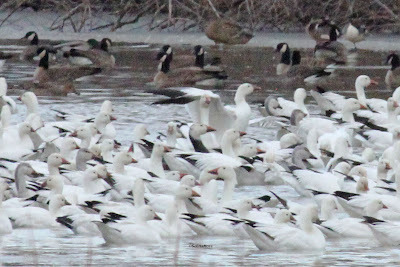 This morning I stopped across the road from the Valco Ponds where the Tundra Swans were. 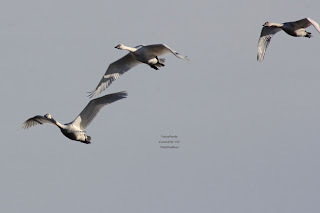 Due to warm temps and chinook (snow and ice eating) winds, the ice that had kept the swans closer to the road was gone and the swans were far back and difficult to see from the road. 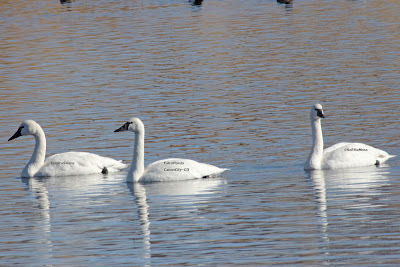 There looked to be more swans so I drove down the road looking for a better viewing location. That turned out to the the bridge over the Arkansas River. These pics were taken from the bridge looking northeast to the pond where there were now 10 swans, one of which was an immature. 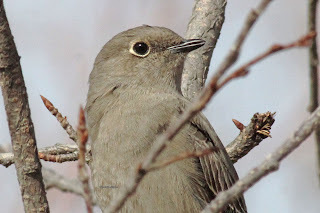 This Townsend's Solitaire was in between the Ladder-backed Woodpecker and the two White-throated Sparrows on the Canon City Riverwalk this morning--all were within 150 feet of each other and adjacent to the trail. At one point the Townsend's Solitaire flew to a small native juniper (only about 4 feet tall) on the dry hillside near the cholla cactus where the Ladder-backed was feeding. The Townsend's spent several minutes picking juniper berries off that tree. 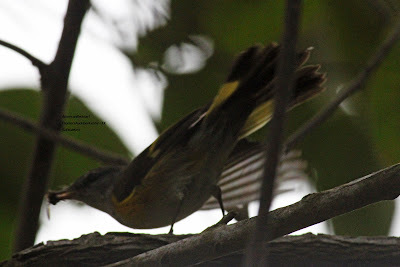 Then it flew into the tree in these photos and proceeded to sing. 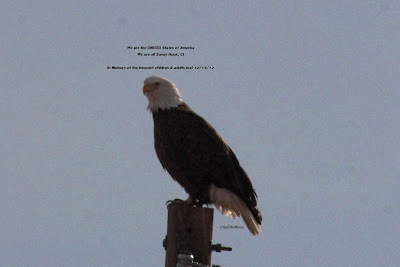 It's beak is parted in the top pic as it was singing when I took this photo. 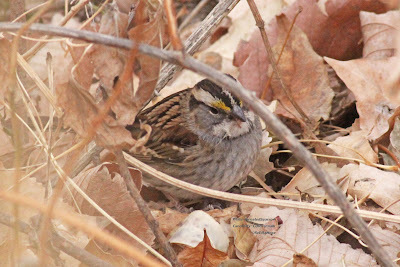 I also found two White-throated Sparrows on the Canon City Riverwalk this morning. 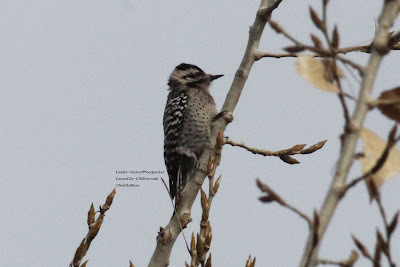 Interestingly I saw the first only about 30 feet from where I last found a White-throated Sparrow on the Riverwalk several years ago. 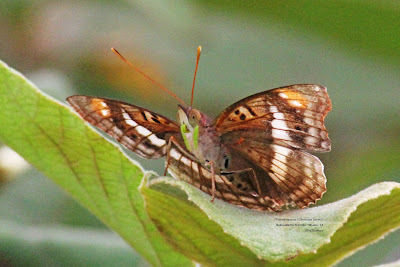 They stayed down and in messy vegetation making getting a reasonably good photo of them a challenge.